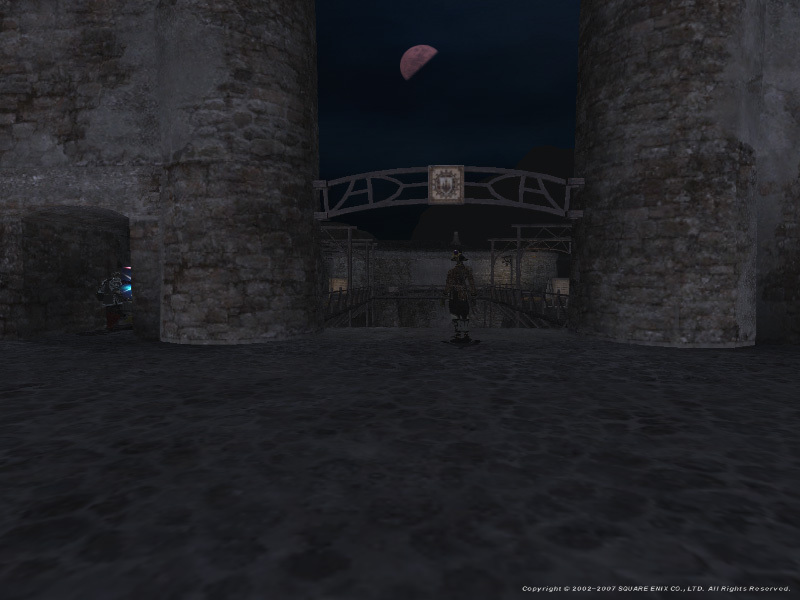 Accessed by trading a Perpetual Hourglass to the "Trail Marking" in Bastok Mines (Near the Mog House). 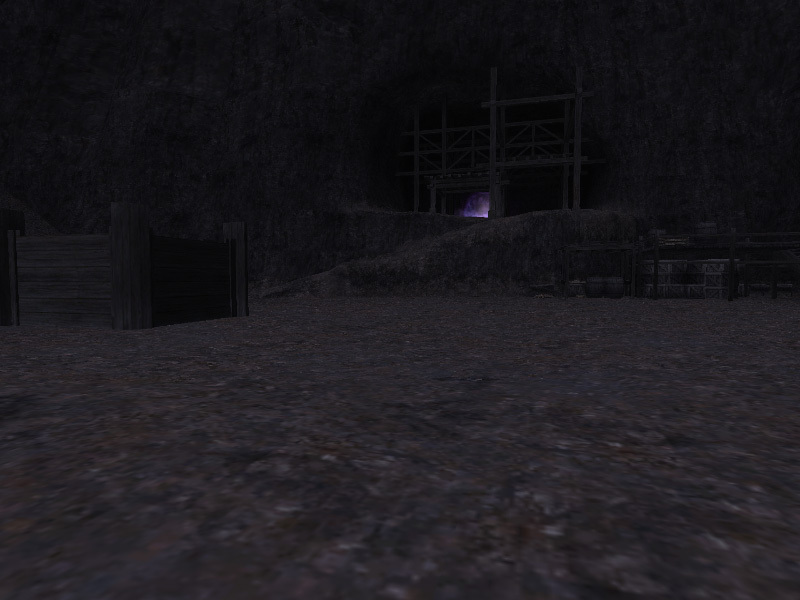 "Dynamis - Bastok" is a gloomy, alternate reality of Bastok Mines. Quadavs from the limbo realm dominate this shadow world, along with strange "Effigy" Quadav statues. There are a variety of NM's as well. Enemies are all about L75 or higher and attack in brute force, but they drop unique stuff including Relic armor. This page last modified 2009-05-06 19:31:06. Just got dyna ls last week and this was the first one I got to do. It was incredible. We had two full alliances only a few people dead at a time and I only died once...mismacro at start of a fight and weapon skilled right away so my fault. I got a raise 3 so it was no biggy. So far loving dyna did windy yesterday and it wasnt bad either didnt even loose a full 1k exp. I lucked out with a great shell. GOONPLATTONSTFU IS THE ABSOLUTE WORST LS I HAVE EVER BEEN IN! They kicked me out after I did 6 ^%$$#%#sky runs because apparently I 'fell asleep while in the mission'. The truth is,I had to change the batteries in my xbox controller and was afk for 4-5 minutes. Then they kicked me. P.S.- ALSO, SOME ^%&$$##NAMED 'MOOOODYDUDE' SUX ***. P.S.S.- I WONDER WHERE GOONPLATOONSTFU'S LS BANK IS? CAUSE I NEVER SAWS A DIIIIIIIIIIIIIIIIIIIIIIIIIIIIIIIME FROM IT! BUDDHSIE WILL DISBAND FROM PARTY AND STEAL YOUR DROPS! here are some screen shots of me and my LS clearing the area. [b][/b][Blue][/Blue]Ok, y character name is Bluetalen, from server Lakshmi. I am WAR70, also working on NIN51. I am currently looking for a long time, exclusive Dynamis Linkshell. If any one has room in thei'r shell for a 70WAR, please send me a in-game tell or post reply. Thank you. Hello, and if you know me, root for my team in royale; LakshmiOutlaws w00t! So you want some Artifact - First of all, whoever is the sponsor owes it to themselves not to be noobs. What does that mean? That means if you want your moneys worth, only go into Dynamis on a good moon phase, ideally near 100% ~ The AF in Dynamis is exactly like farming a testimony outside of Dynamis ~ The better the moon phase, the better the drops. Only noobs sponsor Dynamis on a 23% and dwindling moon phase (also has influence on your money drops too) - Sponsoring a Dynamis run on a worthless Moon Phase is like throwing your money away. White Mage Bloopers - Another thing is WHITE MAGES PLEASE WATCH WHAT SPELL YOU ARE CASTING!!! My dynamis the other day was sunk completely because of the idiotic White Mage that Teleported (yes, you heard me right TELEPORTED) an entire party (including the main PLD tank) mid-Dynamis to freaking Altepa Desert. Needless to say, I think that white mage got flamed to hell and back in-game. Please watch what spell you are casting, hell, go ahead and macro it (without party text that would cause more lag). Pulls - please get a puller that knows what they are doing, especially a puller that understands the meaning of "sacrifice pull" which, sorry to say, is an all important skill in the expert Dynamis areas. Say, for example, the puller messes up and links like the entire zone of mobs and can see it... in this case DO NOT BRING THEM BACK TO CAMP. Bringing the mobs back to camp means a complete wipe so just SACRIFICE pull instead of ruining everyone's chance in Dynamis. Black Mage saves the day - A Dynamis run without a lot of Black Mages WILL FAIL. If you are in a group that is heading into Dynamis without Black Mages, ditch them. Yes, you heard me right, ditch them to the curb because they are gonna KO and wipe and lose EXP. The real key to winning in Dynamis has to do with Sleepga and sending Nukes onto the evil Statues. Melee ABSOLUTELY cannot be allowed to hit a statue. Why? Because if a Statue gains Tactical Points to 100% its going to knock you on yer @$$ in seconds flat with the worlds worst AOE attack ever invented. ONLY Black Mages and Red Mages can attack the statue mobs with magic. A wave of continuous Sleepgas should be followed with a heavy nuke on statue type mobs. no quotes or anything used in this. spam this command like crazy so you dont wake up a slept mob. Your tank (Paladin or Ninja) will select which mob to fight. ONLY let them decide the mob to fight. Otherwise... guess what... yup... you will wake the sleeping death monsters. Sleepga is essential in these areas. 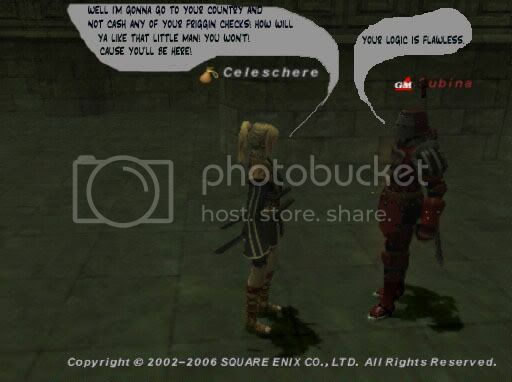 Melee take it easy for once - Finally, all Melee jobs (Samurai, Dragoon, Dark Knight, Warrior etc) stay back. Stay all the way back. Take it easy for once. Let the mages Sleep and Nuke away and let your Tank bring the non-Statue mobs back to you. This is especially important in Dynamis-Bastok because of the scorpion type mobs which have a move called "Breakga" which turns everyone to stone in the area of effect. It is important for Melee to stay out of Breakga range so that not everyone will be turned to stone. Keep it organized and just plain let the tank bring back the mob to you. Then pounce on the mob and spam Weapon Skills, defeat the mob, then wait patiently for the next mob to be brought back via the tank. And that's about it, really. It's not impossible, it just takes a supreme effort of teamwork and excellence. If any one person screws up here, it could mean everyone has to suffer. Everyone must be at the top of their game. Good Luck!! What is in the Empire of Aht Urhgan...? Just treasure..? Something else...? Is the Divine Empress a reborn Altana on earth..? I wonder what is in store for us. Moon phase does not always affect drops, I've gone on all types of moon phase and drops will always vary. We've gone on new moon and gotten 14 af2's and 2 100's, we've gone on full and gotten nothing D:<. Most of our af drops seem to come on waxing or waning moons, not full or new. My highest job level is currently 50, so I can't go to Dynamis yet. Anybody know what the name of the song played in Dynamis is? If you have iTunes, just search for "Final Fantasy XI" and you'll get all three soundtracks, and the Dynamis music should be there. However, it's not called "Dynamis" or anything like that so I don't know. Can anyone help figure out which song it is? ive been playing on Fenrir for 100days on this date, and its been that exact price for ancient curreny the entire time. you buy the hourglass from a gob npc, it costs 1 million gil. must be lv65+ and rank6+ to get the CS needed to enter dynamis and/or buy an hourglass. yeah I would really like to see dynamis so I will know what to expect can you show us some of the monsters there? Your life means nothing to me...Hundred Fists! 3 trigger NMs Gi'Pha Manameister, Ko'Dho Cannonball, and Ze'Vho Fallsplitter must be defeated for the boss Gu'Dha Effigy to appear. Clear the chocobo stable, which has many BST. The scorpion pets use breakga, so silence and sleep them. The closest statue east of the auction house should be cleared. Clear the front and inside of the auction house. The south Gustaberg exit monsters should be ignored. West of the auction house will be a mass link of statues. Clear to G-6 and fight your way through the alley. The monsters above the alley can be ignored. The time extension is in the part of the alleyway normally blocked from access outside of Dynamis. All three triggers can be pulled without sacrifices. Clear the way to the Zeruhn Mines trigger NM, because there is a time extension somewhere in there. Some monsters on the north side may be ignored. Clear the F-5 trigger nm. The boss will be sacrifice pulled to F-5. The sacrifice puller should train monsters towards the start point after aggroing it and all of its potential links. The sacrifice puller will need to run into the monsters that were ignored and the monsters that spawned after all trigger NMs were defeated. After the boss dies, there are repops in the auction house and the start point. Make sure the sacrifice puller gets a raise and to at least G-7 before killing the boss. It looks safe to clear all remaining monsters for drops except for the south Gustaberg exit and the start point. The HourGlass costs 1 million Gil and this is for to participate in the Dynasmis Event. "Then i'll be going now...I'll come back when it's all over..." Aeris's Last Words. Signature current as of: February 19, 2005. Hell, I'm level 50 and can Still be Called a Newb dude! 35 is Nothing! Chances are it was, dynamis is brutal. You will always appear near the Mog House after you get booted out. If you get cleared out towards the end you will have sometimes 30-50 people or more dead in the MH entrance.